Welcome to another TCP blog hop! Today our creative team will be sharing with you their take on a sketch created by our very own designer, Treasa! If you get lost along the way here is the order of the hop. Don’t forget to comment on the TCP blog too! 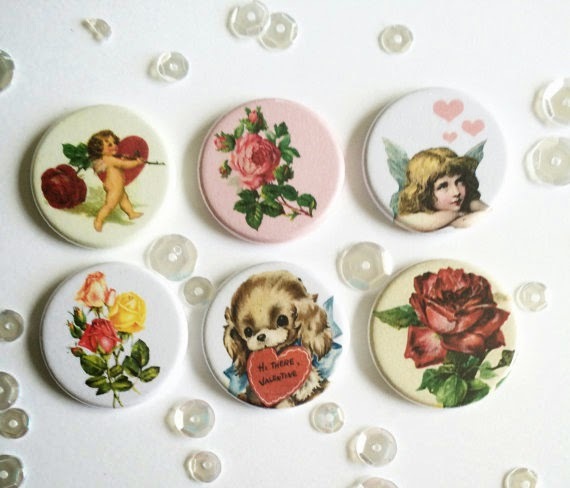 Designer, Cathy Martin, is up with a sweet layout featuring the new Vintage Valentine flair from TheCraftyPickle Etsy shop! Take a look! It’s February 3rd, which means it’s only 11 days until Valentines Day. Now I’m not a big Valentines person, but I do love doing themed layouts and taking cute pictures of my kids! For today I made a layout featuring flair from The Crafty Pickle! I used some flair from the Vintage Valentines set pictured below. For my layout I went all artistic! I used mist, water colours, and chalkboard paint to add some extra touches to my background. I had so much fun creating this layout, it was a bit different for me to just let loose and go with the flow but I liked just putting stuff down without worry about it looking perfect! I was also amazed with how easy and quickly this layout came together. The flair added just a little bit of a vintage touch to a more modern layout. Make sure you check out all the wonderful Valentines collections available at The Crafty Pickle as well as some sweet sequins to go along with all your lovey dovey projects! Thank you so much for sharing, Cathy. I love the black and white with bright pops of pink and of course the Vintage Valentine Flair. 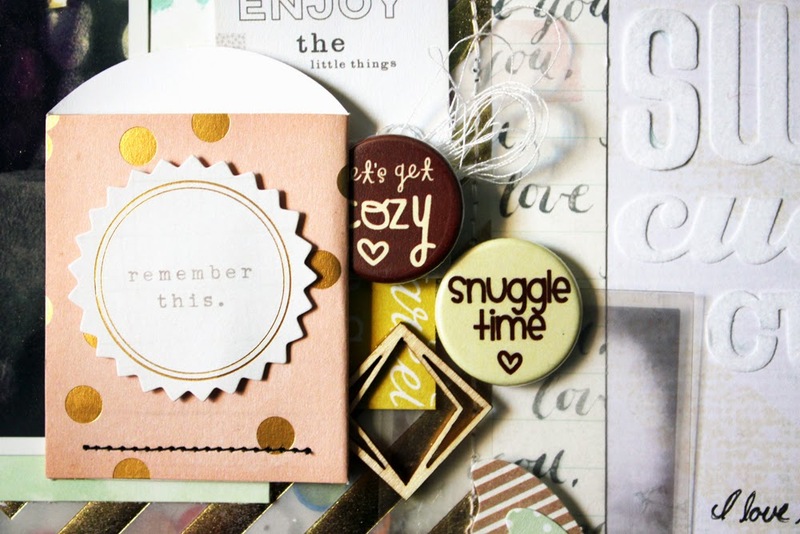 We have Cathy up on the blog today sharing a snuggly little layout that is just adorable! Check it out! It’s time again for another layout for The Crafty Pickle! This time I grabbed some of the Cozy Fall flair set available in the shop and set to work. There’s just something I love about having all my embellishments work together to paint a larger picture and I think that definitely happened here. There is a light and airy feel to the layout and the dark flair badge helps bring out the browns in the photo. I also grabbed a big ‘ol handful of various sequins from The Crafty Pickle. I had some Christmas, Fall, and Winter sequins so I mixed them all together and created a huge pocket for them with gold striped vellum. I love the peekaboo colours just hinted at behind the gold! Hope you enjoy and have a crafty week! Thanks Cathy!! I love all of the layering! 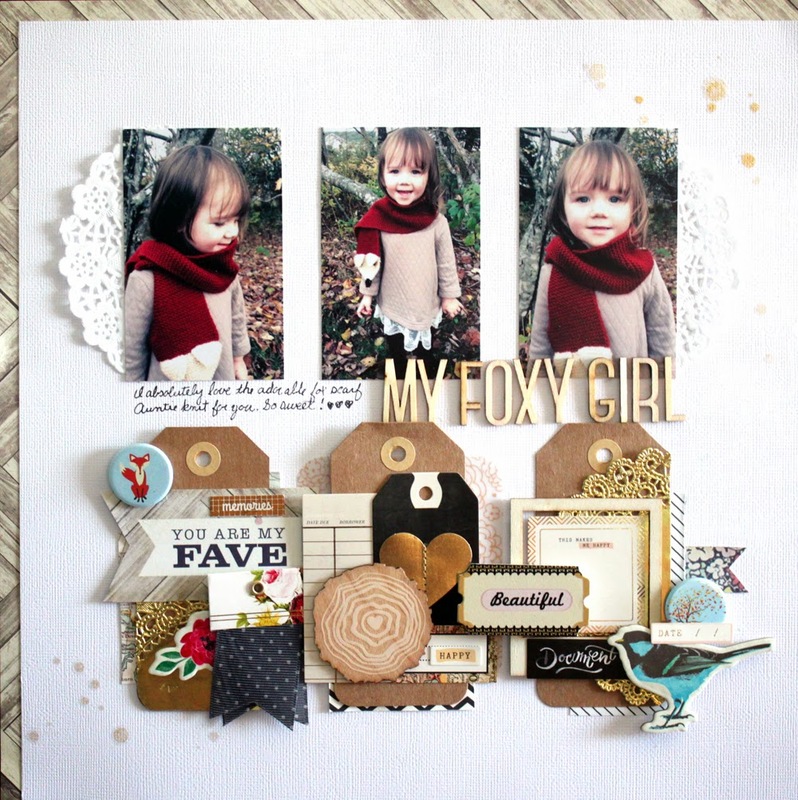 Today we have an adorable layout from designer, Cathy Martin! She shows how you can take a seasonal flair piece and make it work for everyday embellishing. Take a look! 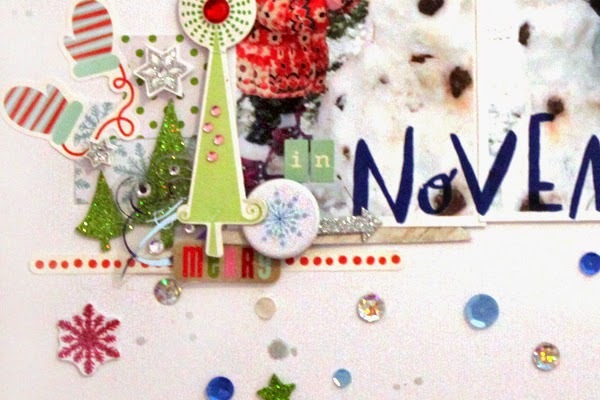 It’s time for my first layout for the new year for The Crafty Pickle! Taniesa has been working overtime getting lots of new fun flairs and other items ready for her shop. I am loving the sequins that she’s offering now! Be sure to pop on over to her Etsy shop and take a look! For my layout today I used two flair badges from her Autumn collection. 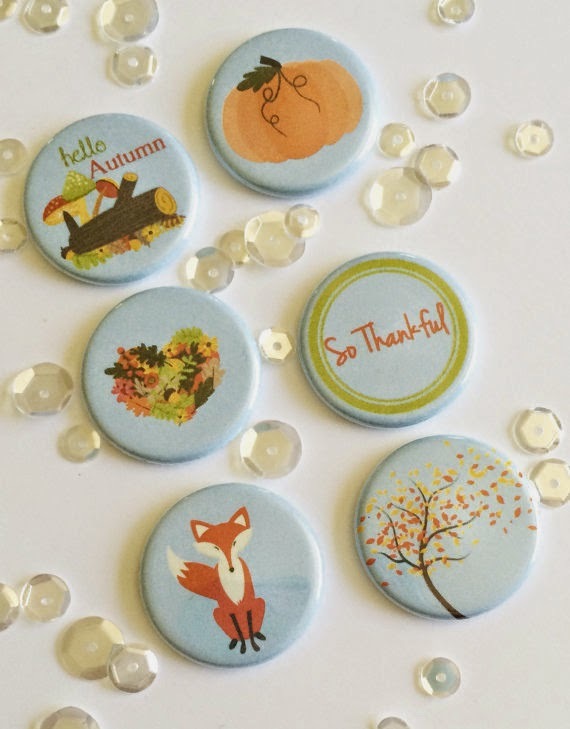 I love the versatility of these badges, and how cute is that fox! Thanks so much for stopping by today, have a crafty day! Adorable! Love all of the detail. Thank you so much for sharing, Cathy! 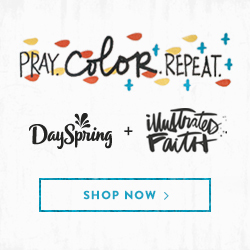 Have you seen the new sequins in our shop?? We have an adorable Valentine mix as well as two other must have limited edition mixes! Check them out HERE. Do you want to build a Snowman….. with Cathy? 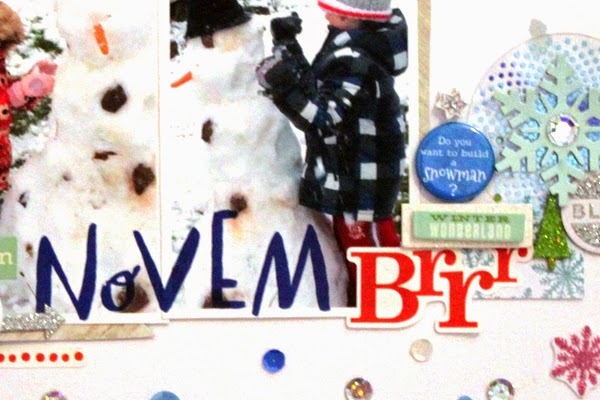 Designer, Cathy, is back today sharing a fab snowman layout! Take a look! 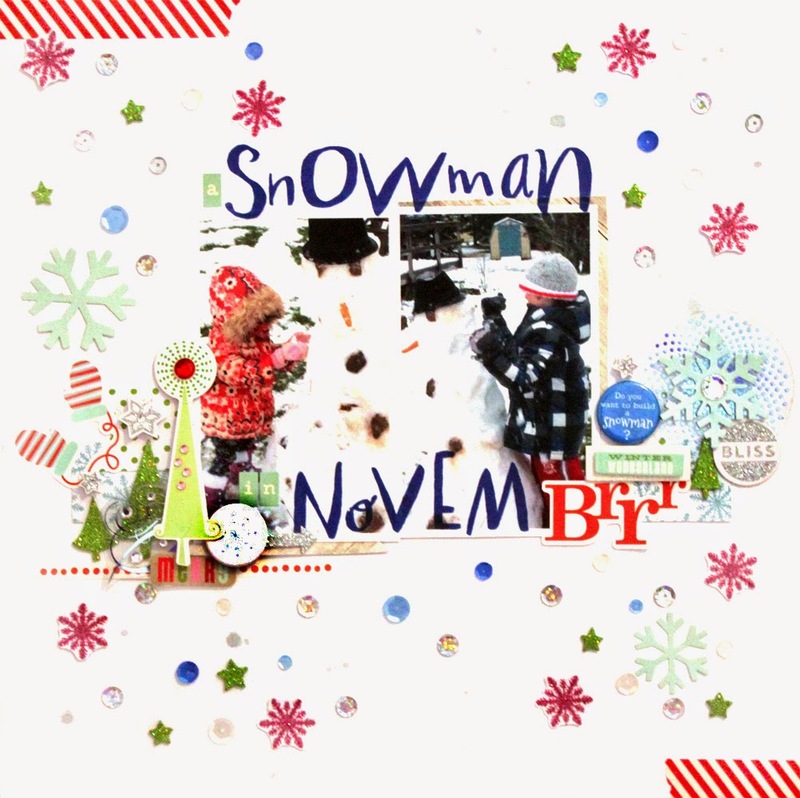 If there’s one thing my kids love, it’s building snowmen, and getting to build one in November calls for a layout. For this layout I thought what better products to use then Crafty Pickle flair and sequins. I used the Winter Mix sequins as well as two flair badges from the January flair set. The royal blues were a perfect compliment to my photos and I love the pop of pink and red. For my layout I dug deep, and I mean DEEP into my stash, there are items on this layout that I bought back around 2009-2010 that I had all about given up on ever using! There are quite a few items that I would have purged if I had actually ever gotten around to purging, but getting to use up very old stash items just makes me feel accomplished! I love how colorful this is and the layering is just beautiful. Great job Cathy!!! Crisp and Cool layout by designer, Cathy! I hope you are all recovering nicely from turkey overload and shopping madness. Today we have a beautiful layout to share by design team member, Cathy! Take a look! 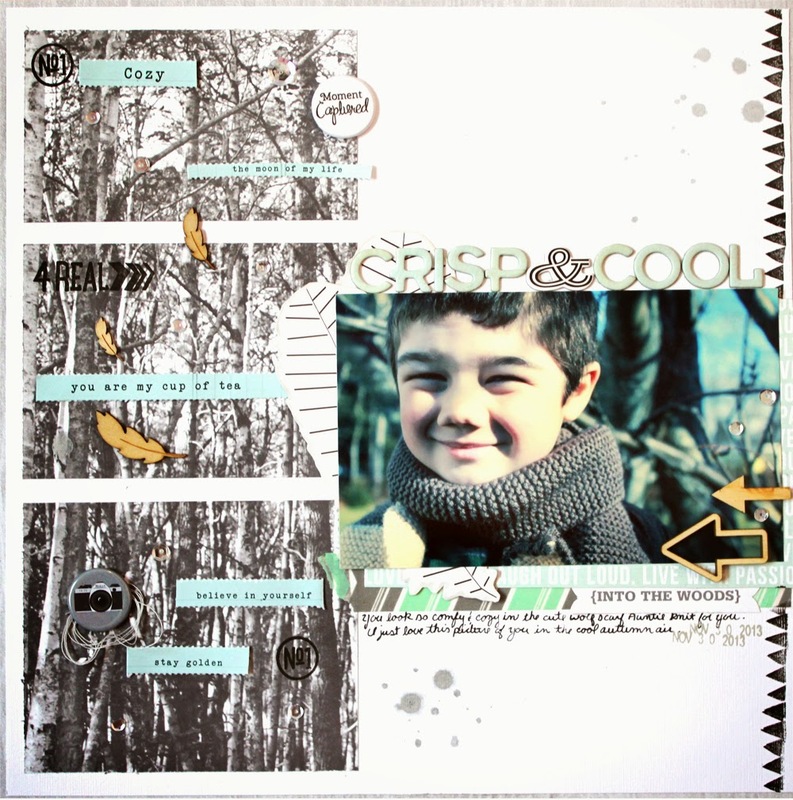 Hi everyone, Cathy here with a layout I created using awesome products from The Crafty Pickle! My layout was inspired by one I saw created by Lilith Eeckels. I loved the way she cut the large woods paper into 3rds to create interest and divide up the image. From there I used a variety of embellishments, including flair badges and sequins from the The Crafty Pickle and stamps from Close to my Heart. I just love how it turned out and I am so happy with my products from The Crafty Pickle. The flair badges are just fantastic and who doesn’t love sequins right? Beautiful work, Cathy. Love it! Welcome to The Crafty Pickle blog hop! Today our creative team will be sharing with you ideas on using Flair, Sequins, Close To My Heart stamps, and more. Make sure you leave a comment on each blog as you hop along for extra chances at winning some fabulous prizes. You have until Friday November 21st to comment and winners will be announced on Monday November 24th! Prepare to be inspired by our awesome, creative crafty pickle team! Then back to The Crafty Pickle blog to leave your final comment! Alicia’s Blog can be found HERE. And why not get some mixed media on it! My name is Cathy and I have been scrapping since 2009, after my son was born. I am a graphic designer and illustrator by trade, though I am currently working as a floral designer. I absolutely love crafting in every form and I honestly don’t know what I would do if I wasn’t creating! 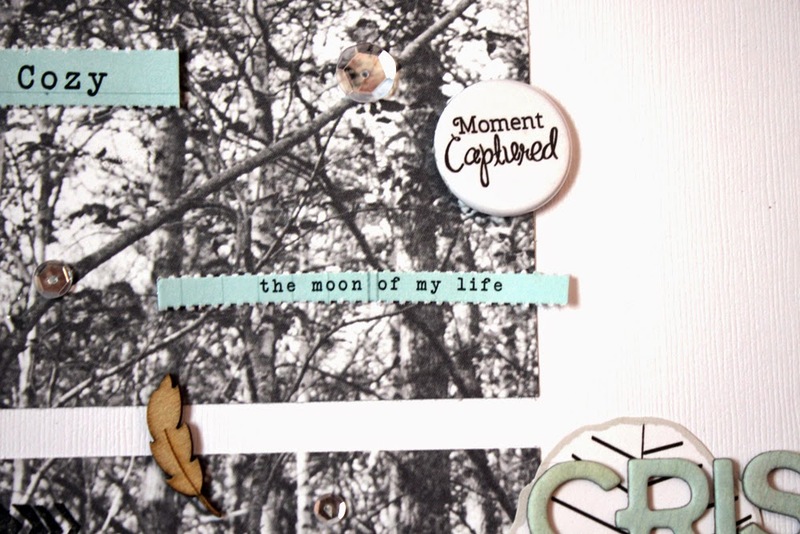 I love using new and different embellishments in my scrapbooking and am always eager to expand my scrappy knowledge. For me my scrapbook pages are ways to preserve my family memories, but they are also little mini works of art, and I use my scrapbooking to express myself artistically. I can’t wait to see what creative things these two have in store for us! See you back tomorrow for two more close ups!